The men’s golf team will be playing for a national championship after qualifying with a fourth place finish at the NCAA Regional in Tallahassee. The 30-team field will be comprised of the top five teams from each of the six regional tournaments that occurred last weekend. Tech will be hosting the event, which begins May 28 and concludes June 2, at the Capital City Club in Milton, GA. The Jackets finished with a score of -15 at the Tallahassee Regional, five strokes better than the cutoff at fifth place and 19 strokes behind first place finisher North Florida. Five golfers competed for each team, with the top four scores each day contributing to the team score. Tech was tied for fourth after the first of three rounds, led by Anders Albertson, who shot a 66 (-6). It was a bogey-free round and tied for the second best individual round on the day. 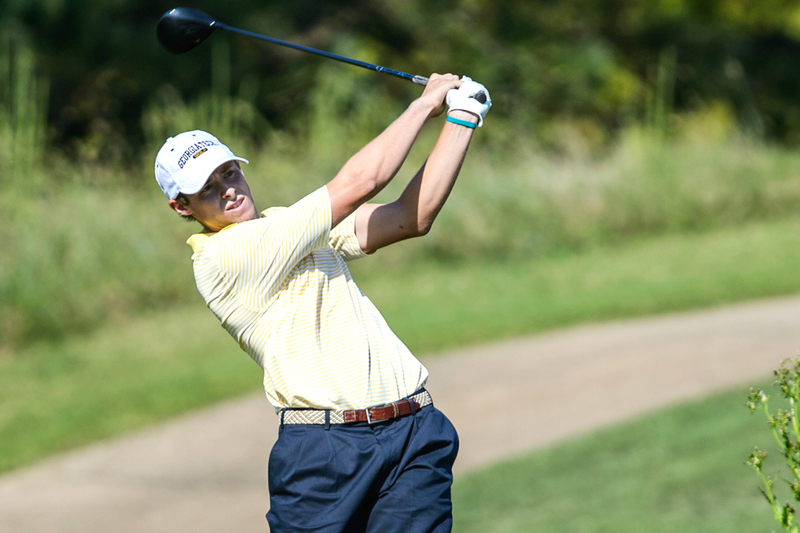 Ollie Schniederjans and Bo Andrews also broke par for the Jackets on the first day. Albertson, Andrews, Schniederjans, and Seth Reeves shot identical 71’s (-1) on day two and finished the round tied for fifth. The top three finishers in the tournament; North Florida, Washington, and Florida State; shot outstanding rounds that day to separate themselves from the rest of the pack, leaving Tech in a four way battle to clinch the two remaining spots. The team came out on top of that battle as they were the only one of those teams to shoot under par on the third and final day. Two of the remaining teams, Oklahoma and South Florida, finished in a tie for fifth (which Oklahoma soon won on a tiebreaker hole), while Oregon collapsed with a +6 final round to finish in eighth place. Andrews led the way for Tech with a 68 (-4) in the final round as he, Schniederjans, Albertson, and Shun Yat Hak combined to shoot -3. He bogeyed the second hole but played unblemished though the remaining sixteen holes, birdieing three out of four holes in the middle of the round and both par 5’s on the back nine. Individually, Albertson, Andrews, and Schniederjans finished 10, 14, and 19 in the tournament. The No. 7 Jackets will be making their 25 finals appearance since 1985. Thirty total teams comprise the field, including eight of the top ten teams in the nation, with No. 8 Stanford and ACC Champion No. 9 Duke missing the cut. Notable teams that will be contending include the defending national champion Texas Longhorns and UGA, who is ranked No. 15. The competition spans six days: three days of 54-hole stroke play and three days of team match play. All thirty teams will compete in stroke play, which is scored the same way it was in the regionals (the best four scores each day count for the team score). The individual national champion is crowned at the end of stroke play. Then, the top eight teams at the end of stroke play will enter a match play tournament. In match play, each of the five golfers plays a match against someone on the opposing team, and each match is worth one point. The team with more points at the end of the match advances to the next round in the tournament, which culminates in the championship match on Sunday, June 2. Tech will be teeing off with Arkansas and TCU on days one and two. Tee time is 1:10 PM off the tenth tee on the 28 and 7:50 AM off the first tee on the 29. Match play will begin on the 31 at 10:00 AM.